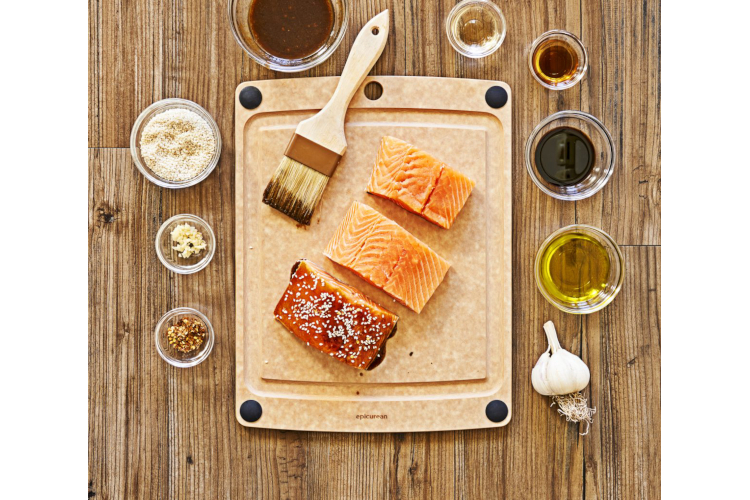 Combining the best features of the most popular Epicurean Cutting Boards has resulted in the All-in-One Board, available in two of the most requested sizes. A generous juice groove on one side of the board and non-slip feet in the corners are married with a board as thin as the Kitchen Series, making this a compact and affordable option for any kitchen. The black silicone feet are fitted into the corners, so that both sides of the natural board have a non-slip option. A convenient drilled hole allows for hanging storage.